From King Tut to Alexander the Great to Mother Theresa, the mosquito-borne illness malaria has long been a menace to human civilization. Now, an international team of scientists, including Arizona State University School of Life Sciences professor Ananias Escalante, has attempted to better understand this scourge by tracing it back to its earliest origins. In the largest study of its kind, Escalante, a researcher in the Biodesign Institute’s new Center for Evolutionary Medicine and Informatics, along with colleagues from 15 leading international institutions, looked at the origins of Plasmodium falciparum, the protozoa species that causes the majority of human malaria cases. The team examined the root cause of malaria amongst populations of chimpanzees, our closest primate relative, because infectious agents often become opportunistic, and over time, can leap from one species to another, with devastating consequences. 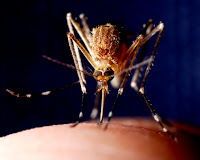 "This research is an example of our long-term goal: establishing bridges among the anthropological, epidemiological, ecological, and evolutionary biology perspectives to address the origin and dynamic of infectious diseases," said Escalante. By comparing the genetic sequences of the malaria culprit that infected two closely related wild chimpanzee species and bonobos, the team hoped to uncover the genetic origins of malaria. They found high levels of infection in the wild chimps. 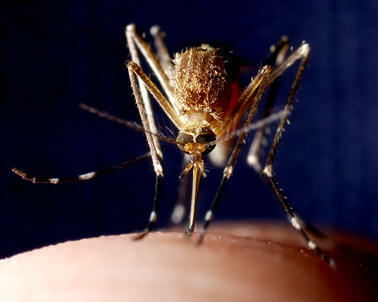 Their data has also reshaped the current thinking on the animal origins of human malaria. Results suggest that P. falciparum did not originate from chimpanzees (Pan troglodytes), but rather evolved in bonobos (Pan paniscus), from which it jumped to humans. The malaria infections found in bonobos do not seem cause any harm or illness to the animals. “This is a very important study, because species origins of human diseases are critical to deciphering factors, genetic and social, that make such transfers possible,” said Sudhir Kumar, director of the Center for Evolutionary Medicine and Informatics. Disease origins is a major research theme in this Biodesign center, and professor Escalante leads research and development efforts in this area. "The finding of a number of “falciparum”-like species raises important and addressable questions about the mechanisms involved in the success of P. falciparum as a human parasite that may well be applicable to disease control," Escalante said. Armed with new information, the team hopes to use this knowledge in the current battle to control malaria. With a detailed knowledge of the genetic underpinnings of this illness, that team may help to identify the genes responsible for eluding the human immune system or guide the development of new treatment strategies for this global threat to human health.